Hi scrappers! I bring your anther summer-inspired page. This one includes some found objects from the beach like sea glass and tiny shells. The photos were taken by my husband in Laguna Beach a few months back and I had just gotten this romper with a train/cape thing. I felt so fancy wearing it! I started with a white and mustard geometric print paper from Heidi Swapp and mounted it on black cardstock. I used book print paper from Recollections and stippled acrylic paid in tan black and gold around the edges. 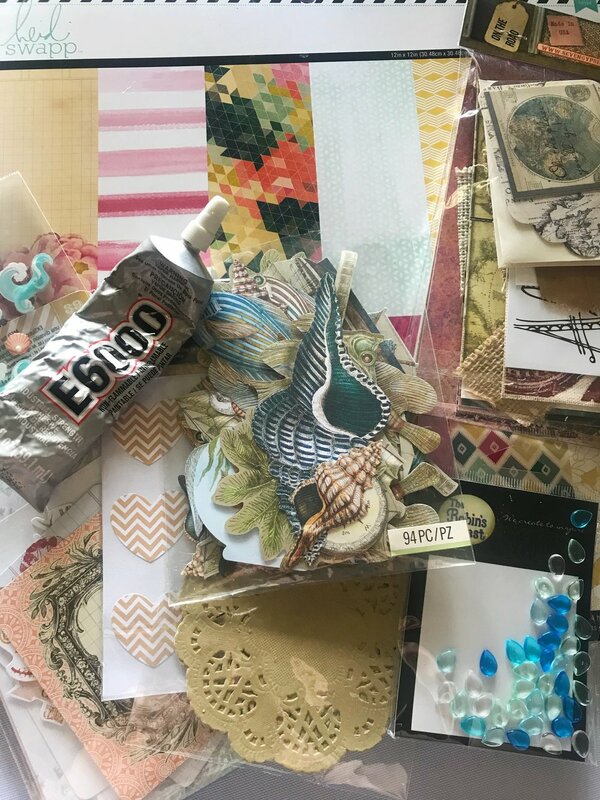 I recently purchased several packs of Junk Journal Goodies by Seven Gypsies and the way they are packaged makes it hard to tell what is actually included. Opening them up was like opening a surprise present. It turns out there were some great nautical pieces, one being the blue and white striped compass piece I used. There were also some assorted burlap pieces which I cut up to add some texture to my page. I used E6000 to glue on my buttons, glass bits, and tear drop embellishments by The Robin's Nest. A few silk flowers and bronzed brads complete the look. This page was created for the More Than Words July challenge. The prompt was to draw inspiration from the words "beach" and "seashells." The results are pretty self explanatory. I also took inspiration from the color palette, including a black mat around the edges. 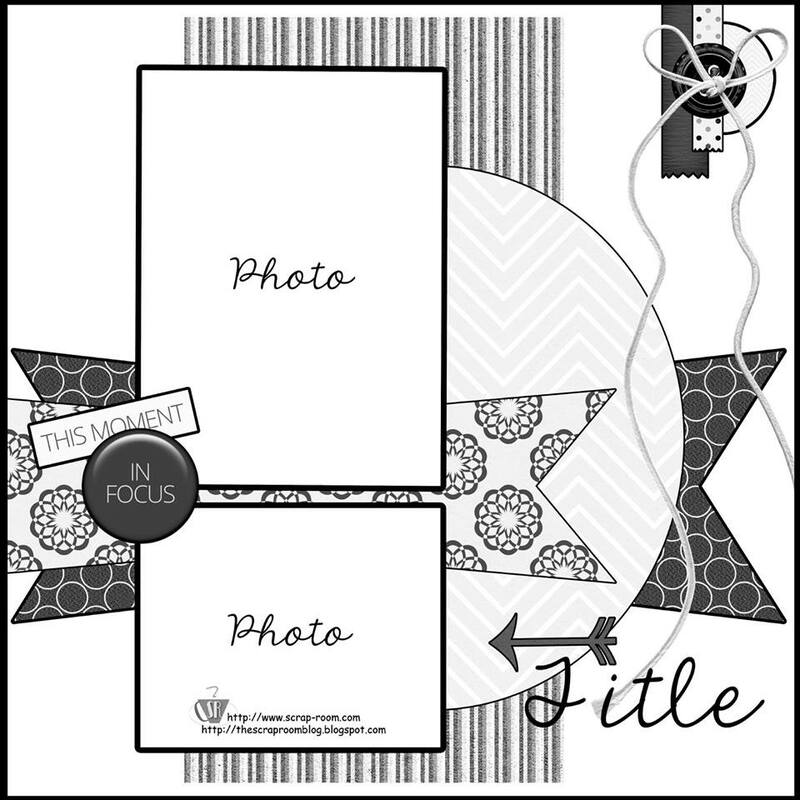 This layout was done for the July challenge at The ScrapRoom. 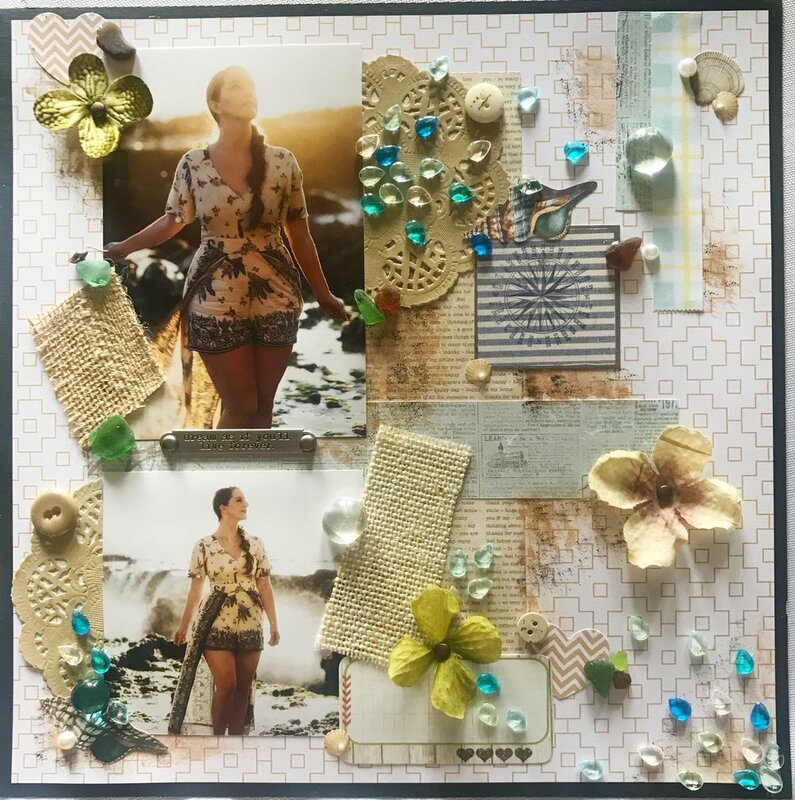 I actually had photos matching the same dimensions as the layout, but I left out a lot of the geometric shapes to focus more on the embellishments.